Let’s get the obvious out of the way first: Is Logan the best X-Men film yet? Yes. For sure. By a mile. And so on. While it’s fair to grade a movie against the curve of its predecessors, in this case I think it undermines Logan to solely compare it to other X-flicks. Thinking about Logan leads me to think about the genres that influenced it, the impact of iconic directors who came before, and draws comparison to cinematic classics. I was someone who was almost ready to give up on this franchise after a fairly mediocre recent crop of films, but I forgot something. Or more specifically, someone: James Mangold. James Mangold, he of the fairly engrossing 3:10 to Yuma remake, he of the now oft-parodied Oscar nominated biopic Walk the Line, and of course the man behind the camera on 2013’s The Wolverine. Say what you will about that effort and its flaws, of which that troublesome third act is a major one, but it’s surely the closest of these mutant-related excursions to resemble an actual film rather than a roller-coaster ride. Certainly, there’s no shame in approaching it as such, but you can feel the difference in a film that’s required to act as a vehicle to take a character from point A to point B. When an accomplished filmmaker is inspired to use pathos and character development, taking the story only exactly where the story wants to go, one has to stand up and applaud the work and heart put into it. More than anything, Mangold understands the core iconography that gives way to the character Logan. He’s basically the Man With No Name or Kuwabatake Sanjuro, and he uses the strongest comics source material as a jumping-off point to serve the “tortured wanderer” archetype. With The Wolverine, he took a still in his prime version of the title hero, as presented within the quintessential Chris Claremont/Frank Miller miniseries, and pitched him within a Japanese familial-crime drama, playing to the East meets West-stylings that produced many a samurai based classic (Yasujirō Ozu and Hiroshi Inagaki, among others, are marked sources of inspiration). That shot of Logan riddled with arrows still lingers in the edges of my memory. For Logan, the film, his return to the character is one that moves further back in its inspiration. Here, Mangold reflects upon the epic Western and some of its respective masters (George Stevens, John Ford, Clint Eastwood) in his aim to adapt Mark Millar and Steve McNiven’s Old Man Logan. Much like the previous film, the comic pages really only provide a general starting point, as this presumed final trip to the role for Hugh Jackman has more in common with Unforgiven than anything that’s appeared between the covers of a Wolverine comic. In a way, both The Wolverine and Logan could be seen as two sides of a coin, to the point where there are shots that are reminiscent of one another, setting up some intrinsic cinematic language between the two. The fact that Logan is a wholly much better film, of course, helps immensely. Set in 2029, five years after the final chronological scene of X-Men: Days of Future Past, mutant-kind is nearly extinct. Humans are no longer giving birth to them, and the ones left have mostly died out. The X-Men are, for reasons only hinted at, no more. Logan (Hugh Jackman), now going by the name of James, is a shadow of his former self – an aging, alcoholic limo driver scraping together cash to care for a dying elderly parent, living in a world that doesn’t look far afield from our own. Hobbled with pain, drinking away those memories he can’t toss aside, and growing sicker each day, this is a Wolverine that’s basically unrecognizable. He can’t even pop his claws out fully without intense agony. In between his nighttime tasks, he crosses the border to Mexico where he watches over an increasingly unstable Charles Xavier (Patrick Stewart) – whose aging and deteriorating, yet still powerful mind makes him an extreme danger to everyone within his general vicinity. Logan’s only support structure is the reformed mutant Caliban (Stephen Merchant), a gaunt albino figure whose sibling-like relationship with Logan is marked with nearly as much animus as reliance on one another. While in the midst of a funeral gig, a woman approaches the bedraggled warrior seeking “Wolverine” and his assistance in transporting a young, silent girl named Laura (Dafne Keen) to a safe haven north of the border and out of the clutches of the smooth yet menacing Donald Pierce (Boyd Holbrook) and his cybernetic band known as the Reavers. This task, once finally taken, will set this struggling family on a dangerous road trip, with significant consequences and revelations that will deeply mark each of them irreparably. While Logan does not necessarily want for action (and fear not: there is plenty of stabbing and gouging that earns it its “R” rating), this is a deeply considered drama first. It’s so far afield from the typical X-Men film in tone, pacing, and giving its performers a canvas to work off of, that my first reaction was shock. It’s a slower, more methodical and considered film, as prone to emotional outbursts as it is fisticuffs, but with less portentousness than that of the Nolan Batman joints. There are no real weighty themes on display, or meditations on a specific ethos. Instead it’s a film laser-focused on the relationships of its lead cast, which functions as a modern-day family. It’s funny, touching, and very sad in places. I teetered on the edge of getting choked up at times, and that’s something I’ve never said or felt about a movie of this type. It’s also beautifully expansive, shifting between desert vistas and plains country and back again. Teaming here with X-Men: First Class cinematographer John Mathieson, Mangold has captured the inherent duskiness of the regions while hearkening back the very genre that inspires him. And yes, there’s a dab of Post-Apocalyptic George Miller in there too. For his part, Jackman has always been an impressive performer in this now 17 year old role, and frankly my favorite ongoing strand throughout the entire franchise. But his talents have often been curtailed in service of clunky scripts and the next big CGI-entangled set piece. 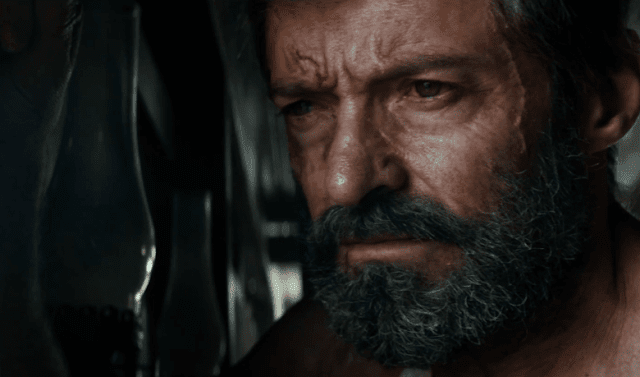 In Logan, the camera gives him every moment he needs, allowing the character to live and breathe in a way that never quite felt possible before. The weight he carries, the centuries lived, they all read on his face and physical stature and as the machinations of the plot present him with a very new kind of relationship dynamic. If this is Jackman’s last performance in the role, it’s a hell of a way to go. But this is not the only wonder that Logan works, as Stewart, finally gets an opportunity to play the Professor in a way that is worthy of his acting chops. The tragedy of Xavier here is all Stewart, as he bounces between a confused old man, unable to recognize Logan and unaware of his surroundings, to the disapproving yet hopeful father figure he’s always been to Logan in this larger series. To see Stewart do something new with had been such a static fixture within the confines of this world is exciting. There’s even a tiny shred here or there where he’s taken cues from James McAvoy, perhaps underlining how in the twilight years we revert back to our younger presentations of self. And then there’s Dafne Keen, who plays the third point of the lead triangle. To say she is an incredibly gifted actress both in physicality and expression would be an understatement. Her take on Laura is largely wordless, which would create a challenge for even the most experienced actor. The fact that an 11 year old commands the screen as fiercely as she does, regardless of those constraints, is remarkable. The relationship that develops between Logan and Laura is easily the most stirring bond that’s been presented in any of these films. It’s a pairing that becomes real from their first scene together and never lets up. Logan has every trapping you’d imagine Mangold is aiming for: the tortured protagonist who must again take arms, the child who presents a new side of the hero, the wise old-timer that imparts moral support, the handsome blackhat rogue in pursuit, and multiple attempts at communal charity that lead to calamity. From that description you may think Logan lacks originality, but using these iconic tropes allows the filmmaker to pay homage not only some of the greatest motion picture visionaries to ever grace the screen, but also to the source material that embedded deep into Wolverine’s DNA. He’s had his Eastern. Now he has his Western.